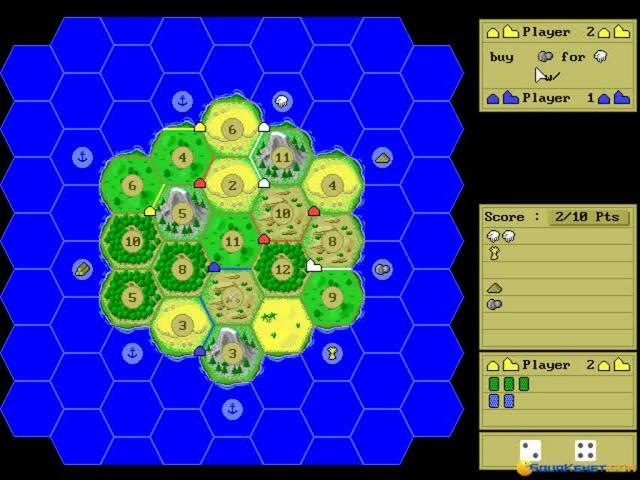 If you're lacking in friends who are into board games and need a computerized version of one of the classics, then this take on the famous Settlers of Catan is exactly what you need to make your life complete. It's pretty much a straight up take on the original but for those without access to real human opponents or the actual board game, it makes for a very entertaining time. 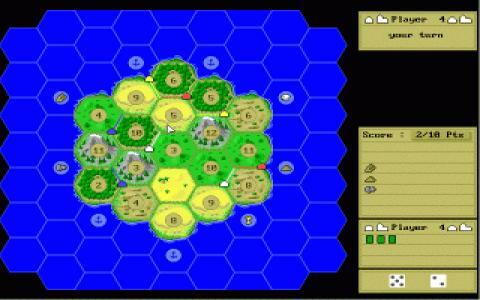 The basic idea here is that each player takes the role of a settler in the undeveloped land that is Catan. In order to develop it, you need to build roads, towns and cities and then start harvesting the goods that are produced, while you can also trade with other players in order to get things rolling along. Your overall goal is to achieve a set amount of victory points and these are awarded by completing certain actions, like having the longest road, the largest army and so on. The whole thing is played out on a randomly generated board, meaning that the possibilities for strategy are endless as you never know what the game will throw at you. Although this is very much identical to the original board game, it's been translated extremely well and remains true to the experience. The mechanics are the same as ever, but it's this endless range of tactics and options that make the game so enduringly popular. 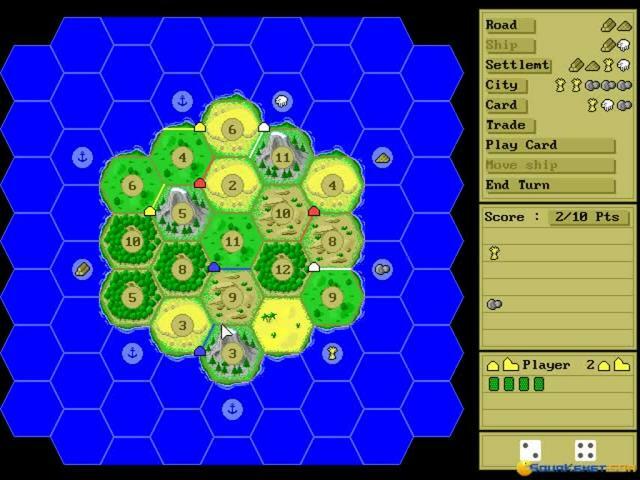 Perhaps a little more could have been done to spice things up for the computerized version, but like other adaptations of classic board games such as Monopoly and Game of Life, this one works simply because it does exactly what you need it to. Good stuff! There are a few classics in board gaming that everyone knows about. Among these, only a few are known for their easy learning curve and very appealing sets of rules. Settlers of Catan is probably the top board game in this particular niche. 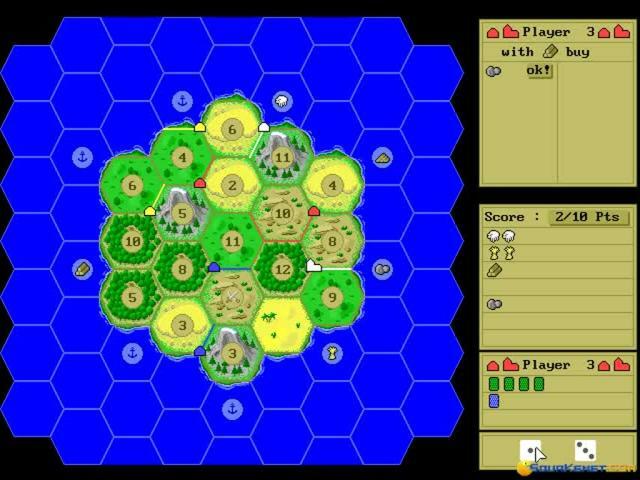 Therefore a video game representation, when your friends aren't round can be just as interesting to play.The Settlers of Catan of Mayfair Games (released in 1995) is a very good replica of how the board game feels when it is played for real, with real people. 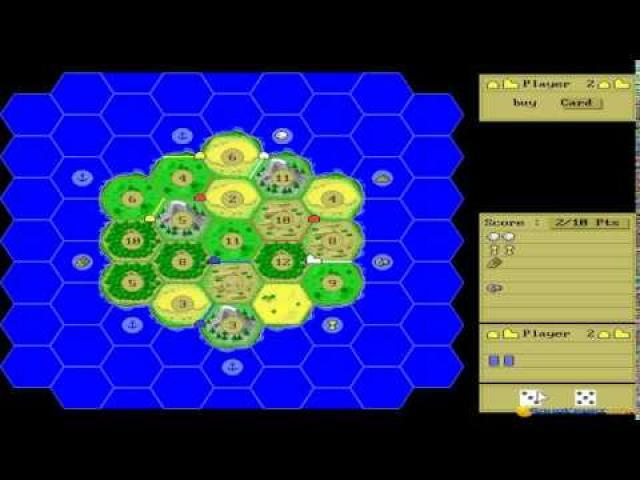 At its core, the game is a strategy game with a hint of luck of the diceÃƒâ€šÃ‚Â mechanics included. Make no mistake however, this is not a game of chance, this is an entertaining, tactical and strategic game. It is turn based and is going to draw you in. The faith of your settlers is, after all, at stake and in your hands, so you will want to make sure that every turn used is a turn that places you ahead of the other competitors. Since the 1995 version has been produced and shipped the game has continued to be expanded and many of this version's bugs have been corrected.The game will however play just fine still and the controls don't really feel antiquated, though they will require some getting used to. Other than that, if you've ever played the real cardboard thing you will know what to do. Otherwise, Settlers of Catan will prove a very good mentor.